You’re probably wondering why I am writing a post about shopping for home decor scores on Amazon when I own a store. Sounds crazy, right? But the truth is that we all shop on Amazon and that is the new reality. I don’t have everything in my store that folks want or need, and I thought it would be worthwhile to review some surprising home decor options on Amazon. Most importantly, most everything I share is Made-in-the-USA, under Amazon’s “Handmade” category, featuring Artisan-made, handcrafted items. It is unbelievable and, fair warning, you better be prepared to fall into this rabbit hole. I merely scratched the surface…you could armchair shop for days in this category (and its sub-categories) alone. I hope to not only point out home decor scores on Amazon, but to encourage intentional, responsible shopping. I loved this first idea because I commissioned an artist years ago to do paintings for my sisters of our childhood home. 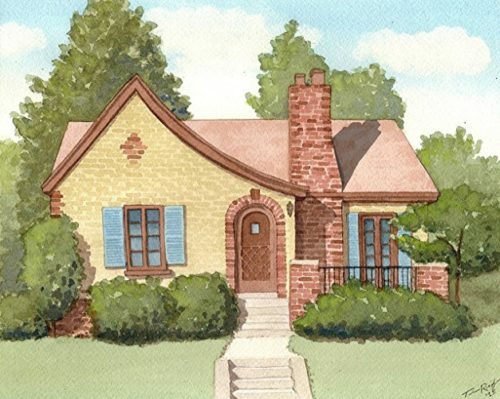 This artist does lovely watercolors of your home for a very reasonable fee. 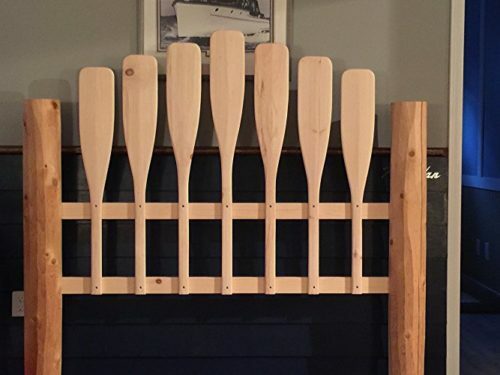 What a wonderful way to commemorate a move or your parent’s home or any myriad of ideas to remember a special place in your heart. I love that an actual geographer creates these push pin maps. 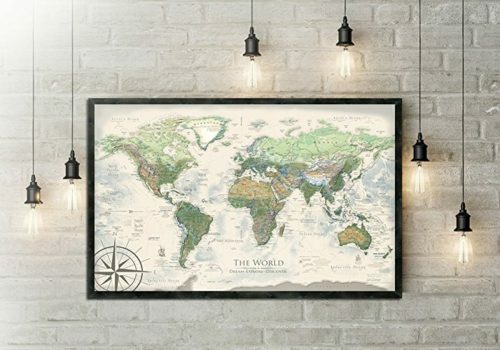 They provide endless geography lessons for the kiddos or a way to chart your travels. Did I mention they come framed for an amazing price? Now that is a true home decor score on Amazon! 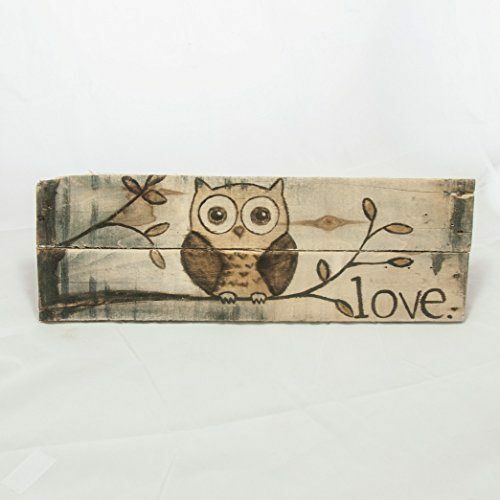 I adore this sweet, nursery inspired art on recycled pallets…sweet for baby and sweet for the earth. Win win. Oh, and made in North Carolina…even sweeter. I love the different prints by this artist, who also does pet portraits as well. 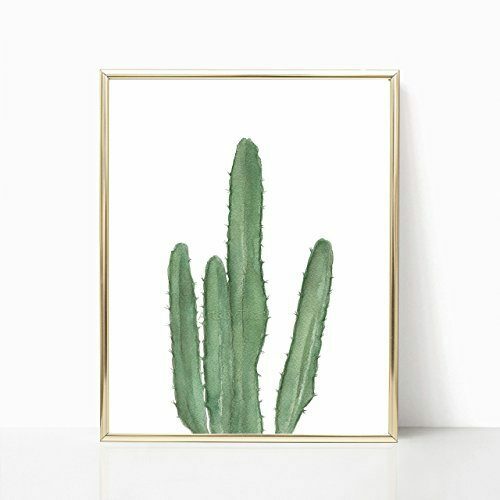 Cacti are particularly hot right now. 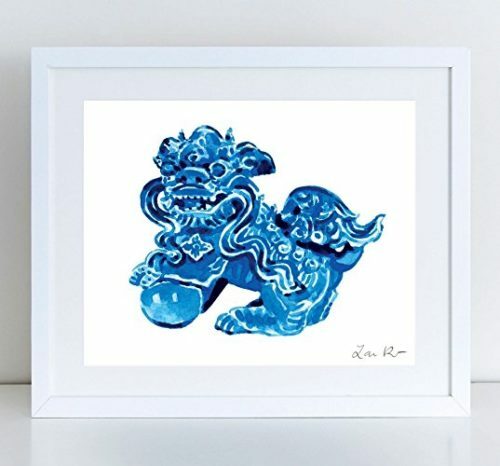 And speaking of hot, check out the blue and white inspired art by this artist. 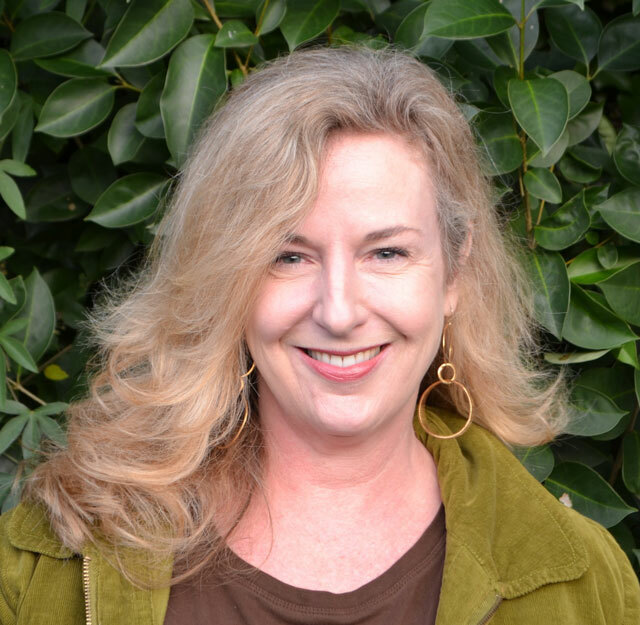 She creates a lot of other options and all for a nominal cost. 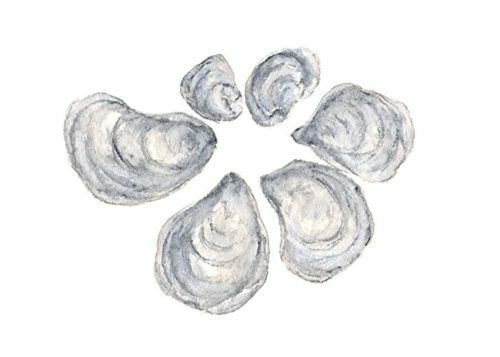 And lastly, for my beach friends, check out the soft, neutral work by this artist. 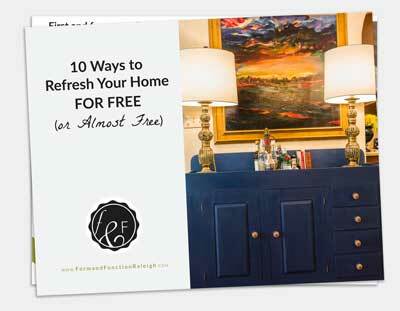 I love the not-so-overtly “beachy” theme in the classic sense and the muted colors. She also draws whimsical animal prints that would make great kid room art. 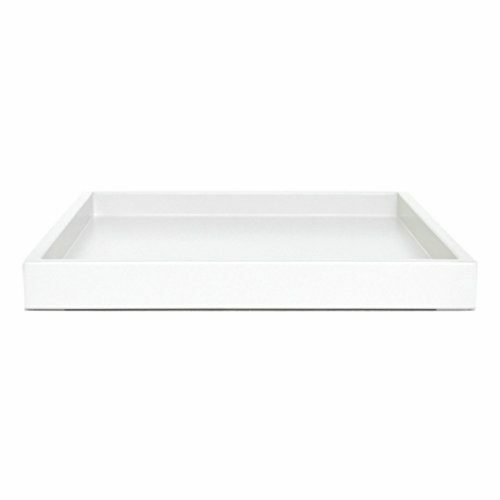 I love trays and use them liberally when decorating clients’ homes. Trays corral the remotes on the coffee table along with some pretties and they provide great organization for bathroom counter clutter. The lacquer varieties are usually expensive and definitely not made in the USA, as a rule. So imagine my surprise upon discovering these American beauties, available in a myriad of colors. 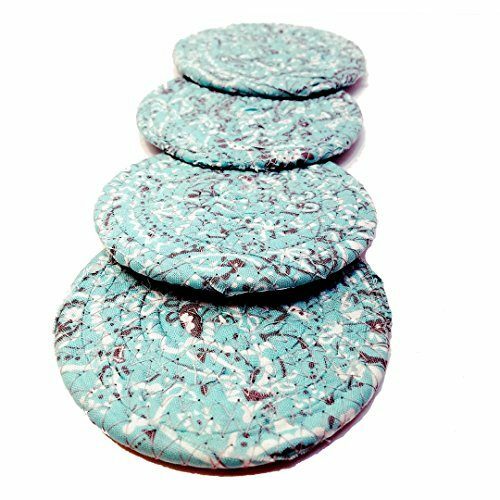 I love the funky, bohemian vibe of these coasters. Plus, as a practical matter, they will soak the hell up from a sweaty glass, unlike some hard surface coasters. This artist also recycles other fabric into placemats and other items for the home and table. 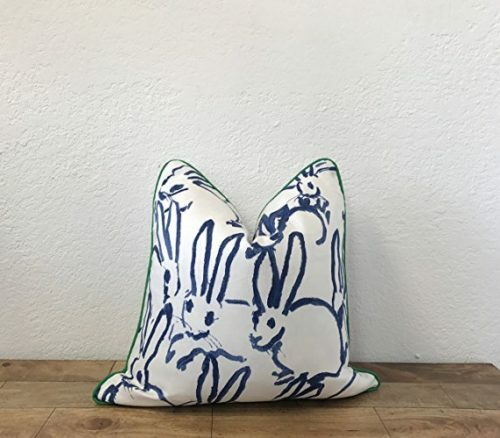 These Hunt Slonem fabric bunny pillows radiate cuteness but in a fresh, modern vibe. I see these as a whimsical addition to the family room couch or a tween bedroom. 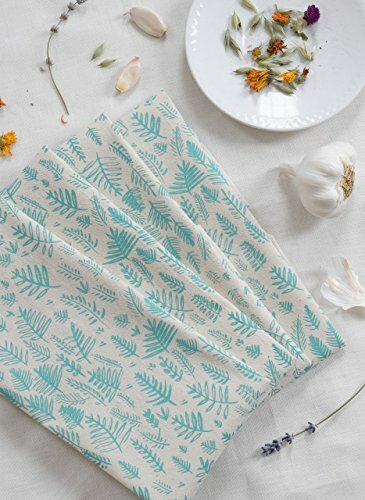 And more fabric options abound in these sweet napkins for the dinner table. I love how fresh and summery they look for this time of year, in particular. 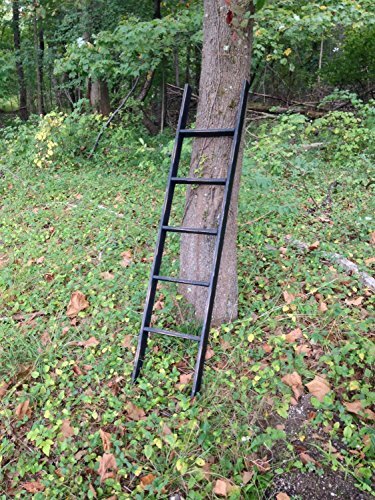 We often get asked if we have ladders for sale in the store and sometimes I am lucky and come across vintage ladders. I love that this artist fabricates his ladders from reclaimed wood and paints them in whichever color you specify. Ladders provide pretty magazine or blanket storage or even suspended horizontally from the ceiling for baskets or pots. So many options. Replacing knobs is an easy and affordable way to update furniture or cabinets. 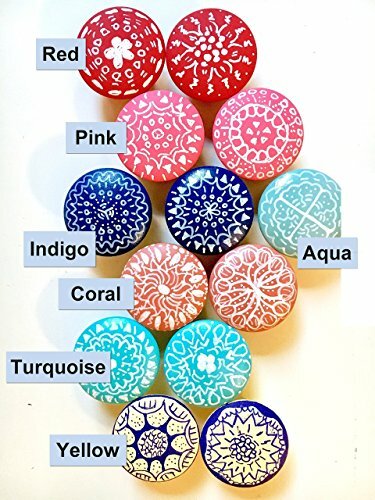 These handpainted, wooden knobs add a colorful flair and a quick update. 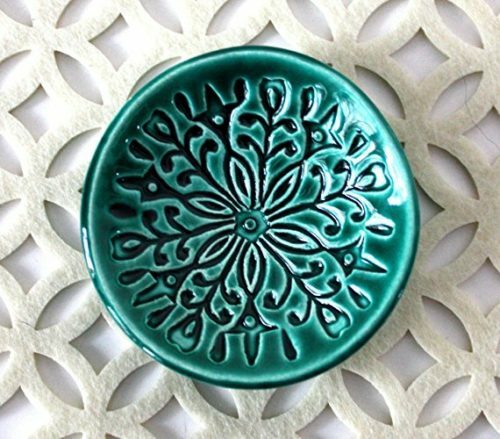 Handcrafted pottery, and small dishes in particular, provide a practical and pretty way to corral jewelry, serve nuts or organize paper clips and other office bits. This artist’s embellished and colorful pottery fill several needs in the home. 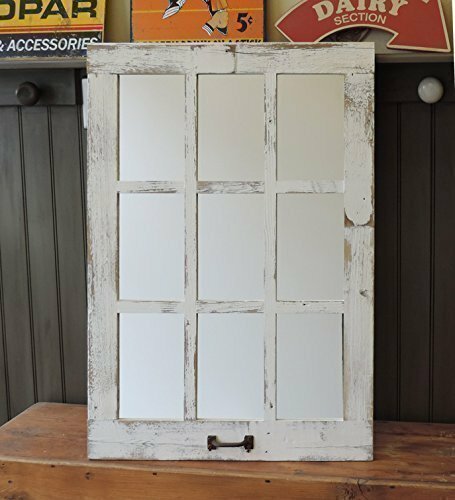 I thought these reclaimed barn wood window mirrors could add a lot to farmhouse inspired decor. And they are very reasonably priced for the sizes they offer. A lot of North Carolina produced upholstery still exists, so not a terribly surprising find. 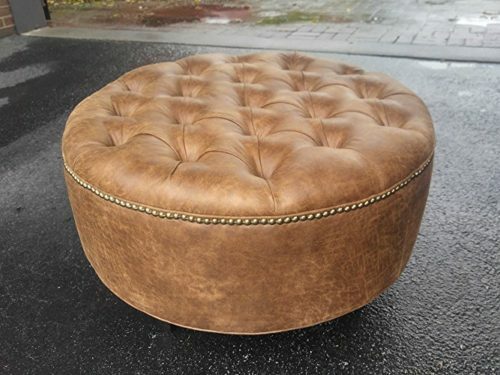 However, these ottomans and other pieces from this company are lovely and amazingly well priced for Made-In-America and feature nailhead trim! 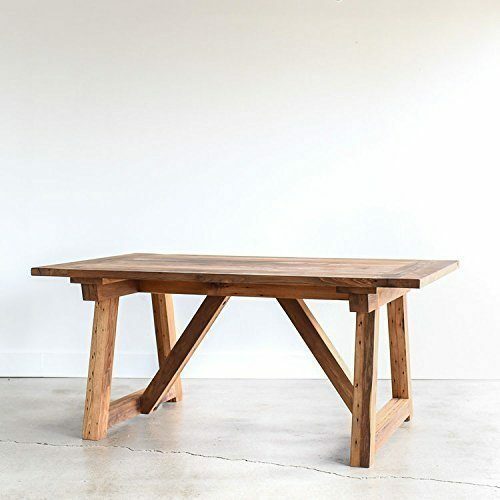 These reclaimed wood trestle tables are stunning and crafted from old growth barn wood, finished with non-toxic materials. Who wouldn’t want to dine around this? And another one for my beach and lake house folks. 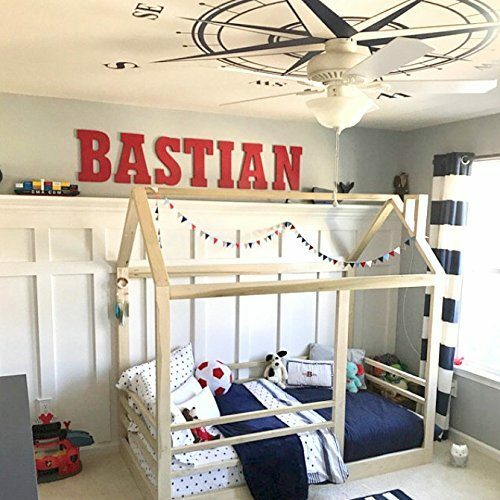 These beds come in very colorful options but I liked this neutral bed that could just as easily go in an adult guest room, as a kid’s room. Several home decor scores on Amazon featured mid century modern options. 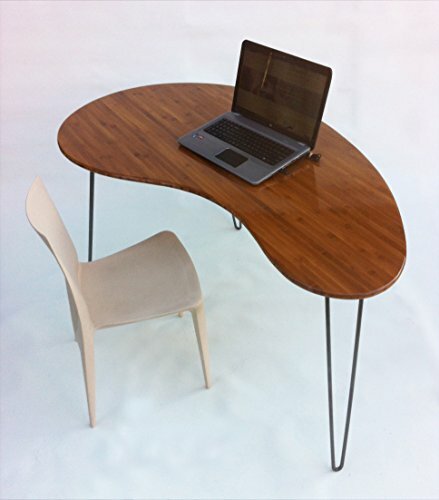 This classic kidney shaped desk provides great surface area and a sleek home office choice. And speaking of mid century, this floating nightstand appealed to me for many reasons and it’s made in Canada (my only concession to a Made-In-America focus). 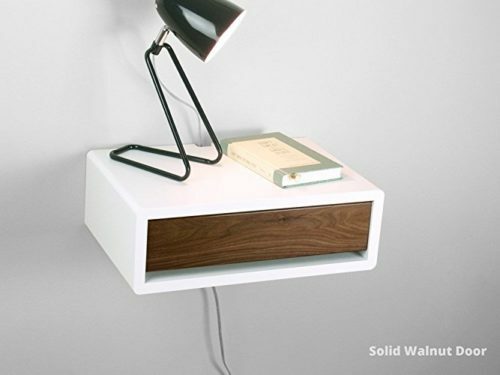 I love the clean lines but also the option of a floating nightstand in a space-challenged room. 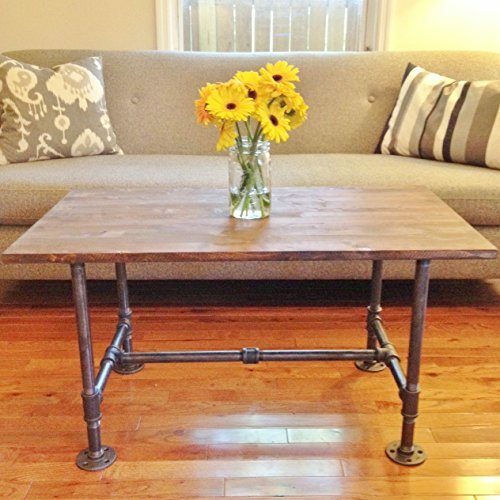 A modern setting or more industrial, steampunk setting would welcome this coffee table. This sweet bed would be the focal point for an imaginary play-focused bedroom. I could see it draped with fabric sides and all sorts of fun fabric options. Don’t forget to click on the other options by all the artists listed here. I featured only one of their products to give you a sense of their style and what they offered. I applaud Amazon for having the “Handmade” category and encourage you to explore this among the many shopping options out there. And when you still want to shop local, may I remind you of my lady friends here in Raleigh with their great offerings. Happy hunting!